We completed this mill in October 2000. 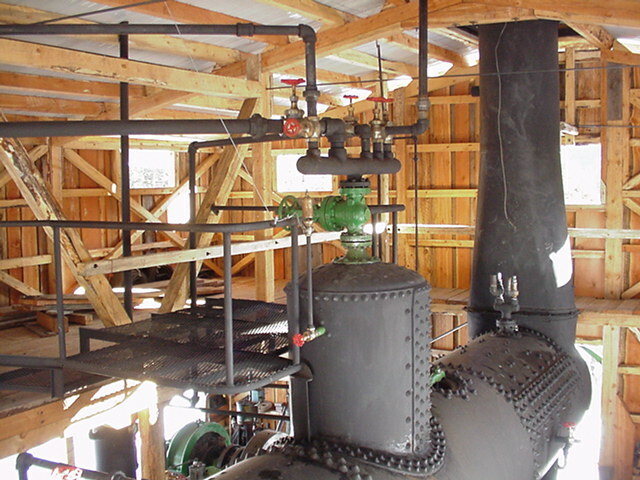 Steam is supplied by an Acme boiler and the mill is powered by a Waterous engine. 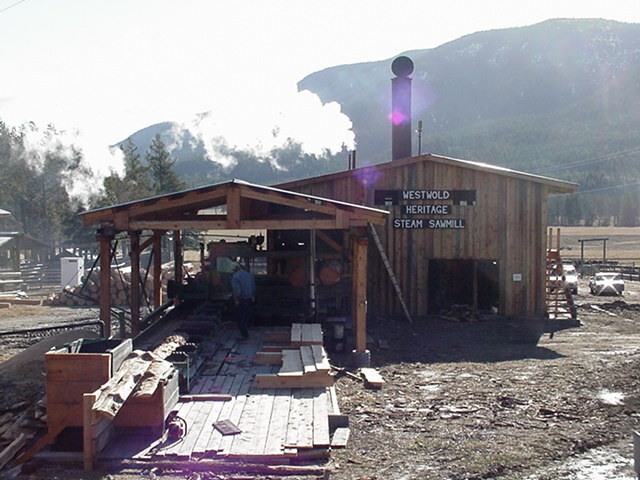 The Waterous engine is the same engine that powered my Dad's Steam Sawmill from 1911 to 1945. 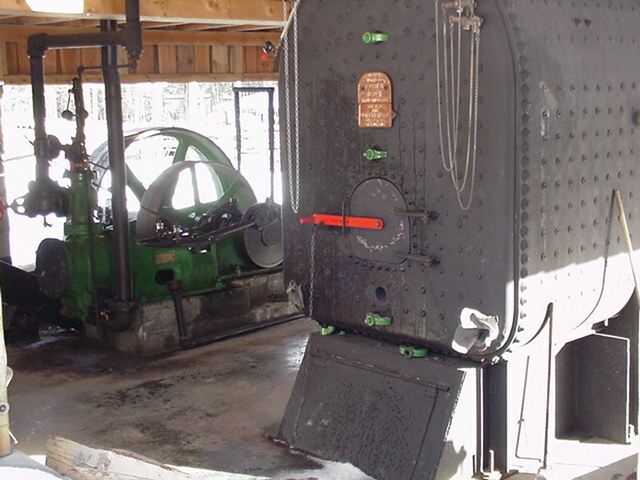 The feed works engine is a Soule and the engine powering the cut-off saw is a Climax. 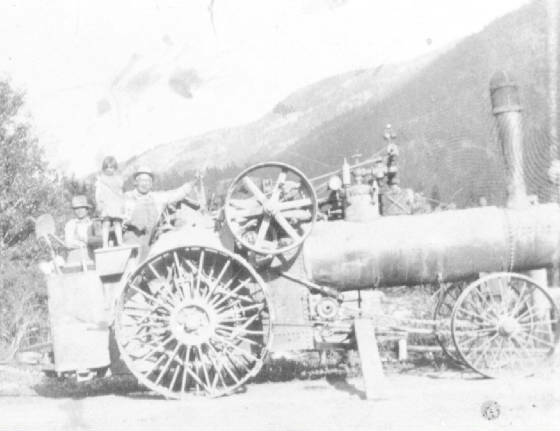 Casey is a 1915 50 h.p. 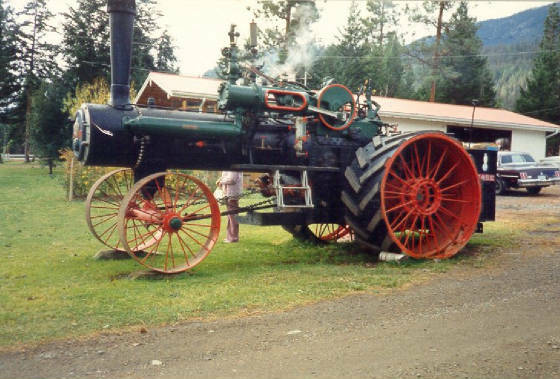 Case Traction Engine and has been in our family for over 75 years.It was originally bought to pull wagons loaded with logs to my fathers Steam Powered Sawmill. 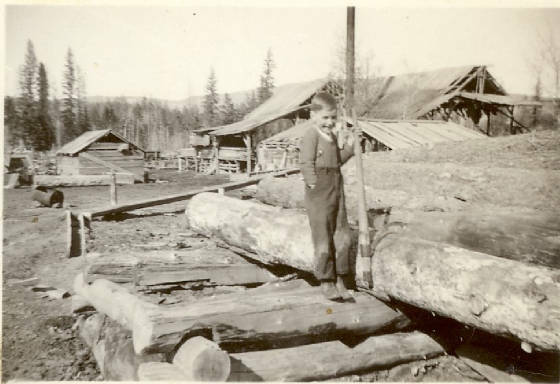 It was also used to run a threshing machine. It was parked in 1948 and sat for nearly forty years before I had it restored. It was a part of the 'Steam Show' at Expo 86 in Vancouver, B.C.